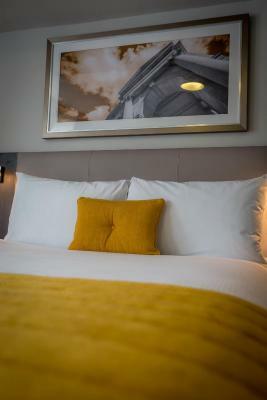 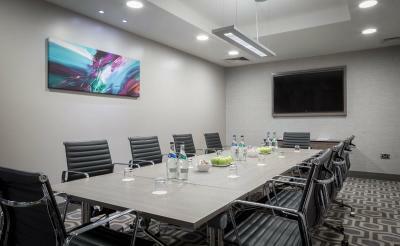 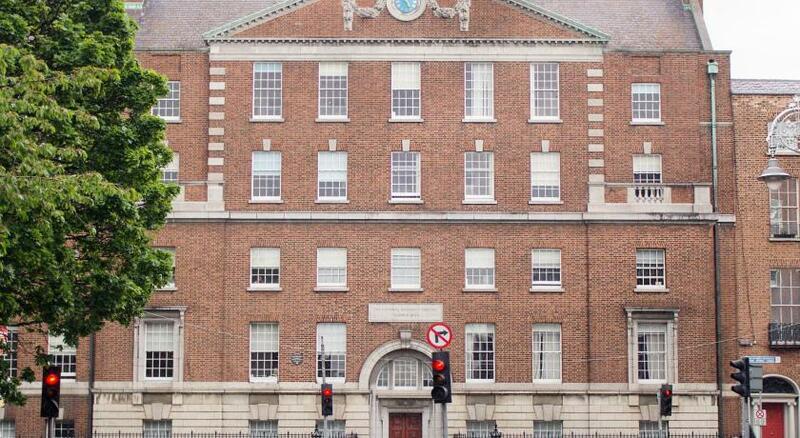 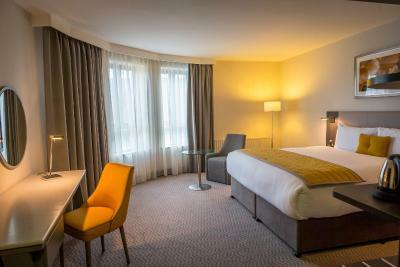 Lock in a great price for Maldron Hotel Pearse Street - rated 8.4 by recent guests. 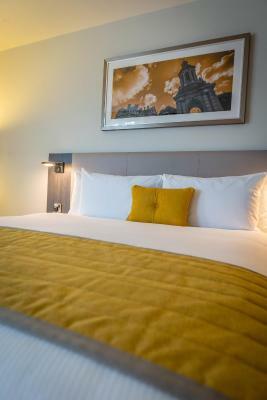 The bed was really comfy, Scooby doo was on when I arrived an hour before I had to leave for work so that was a nice stress release as it is my favorite film, the shower was great and there was a wide array of drinks on offer. 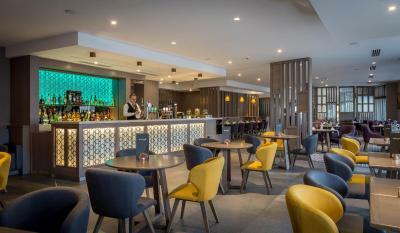 I used to work at the Maldron at the Airport and they don’t have as many drinks. 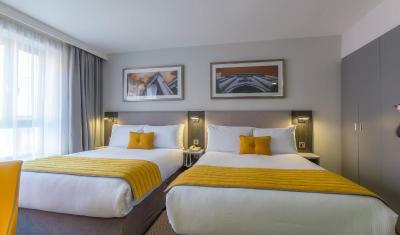 Lovely clean room & friendly staff. 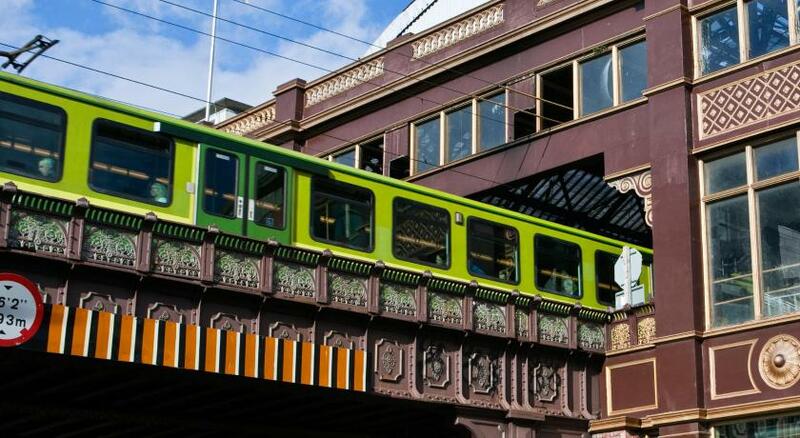 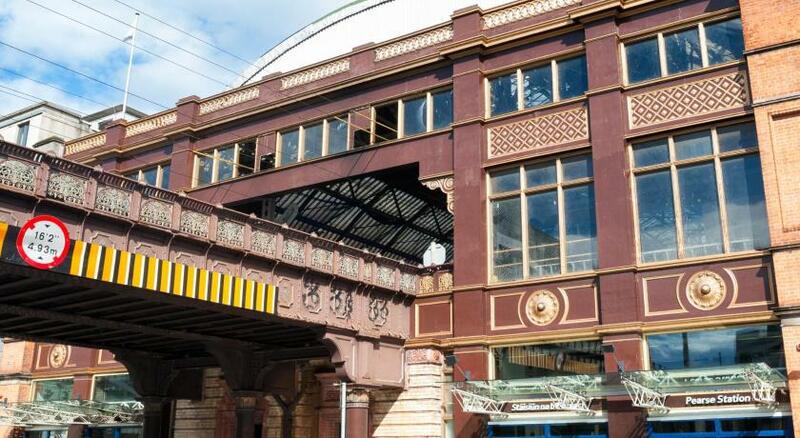 It is also walkable to the city centre and other places like the 3 arena. 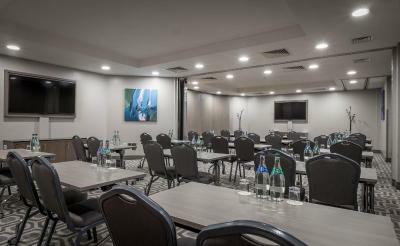 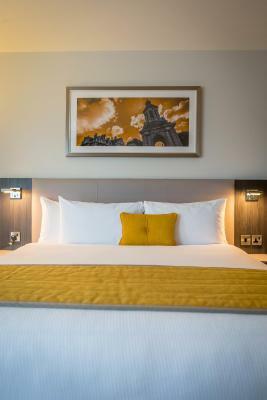 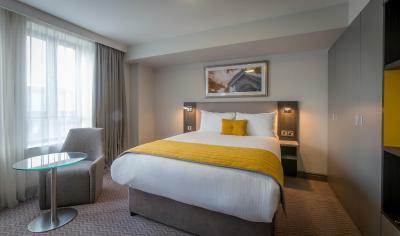 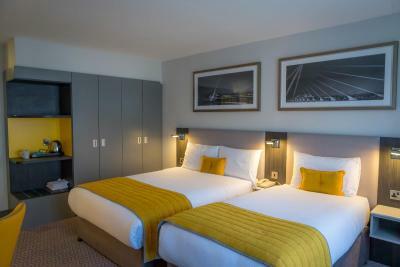 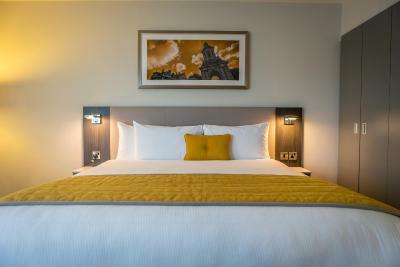 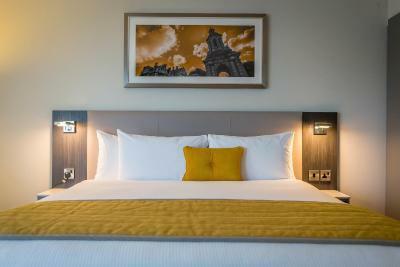 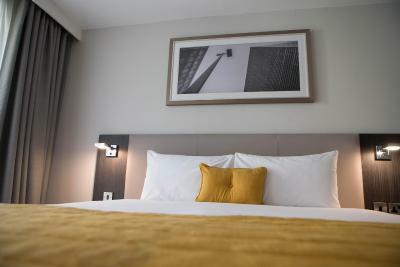 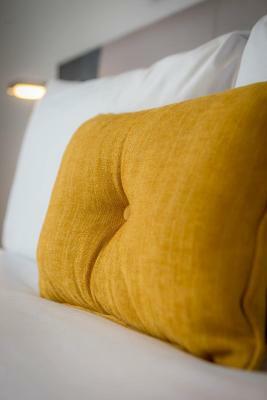 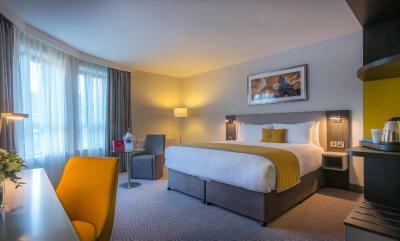 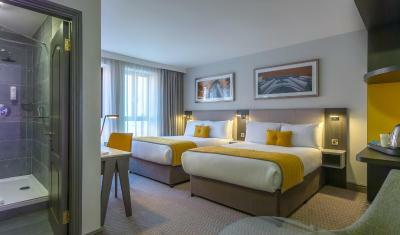 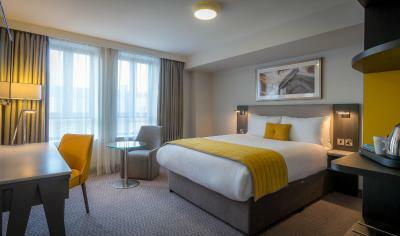 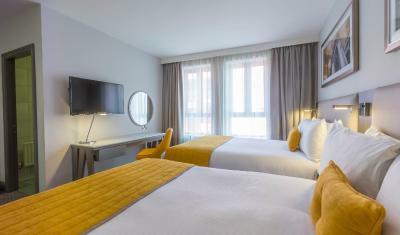 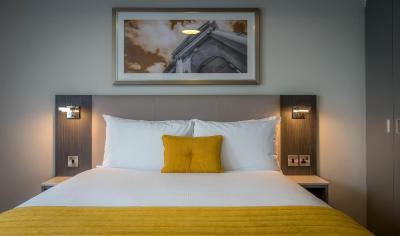 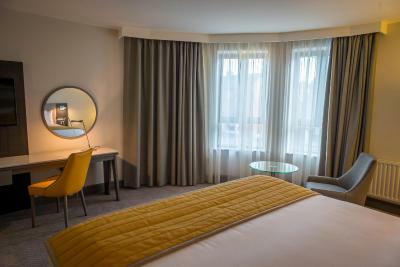 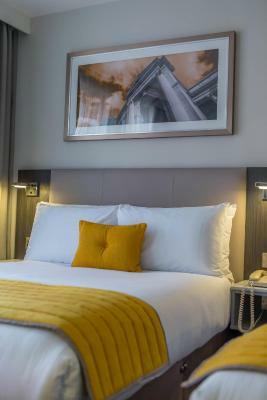 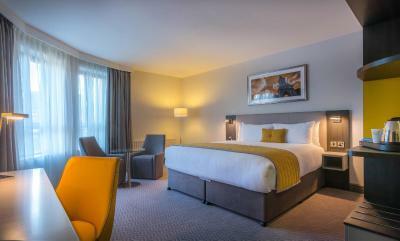 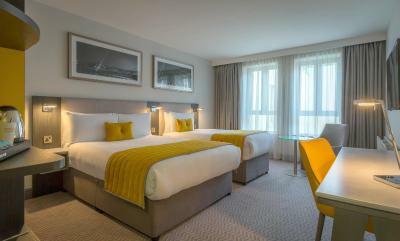 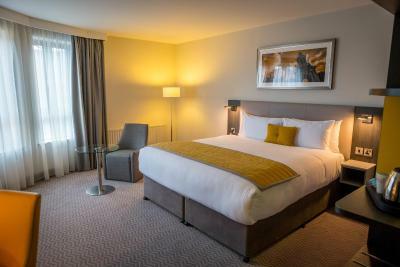 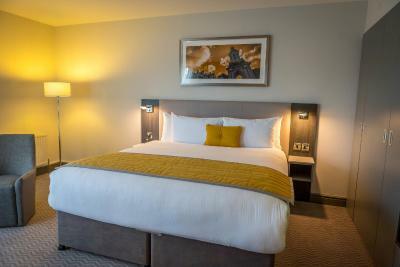 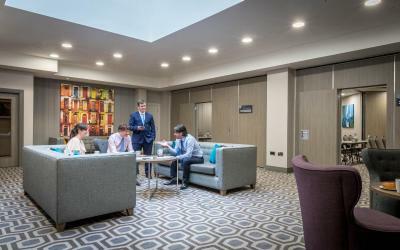 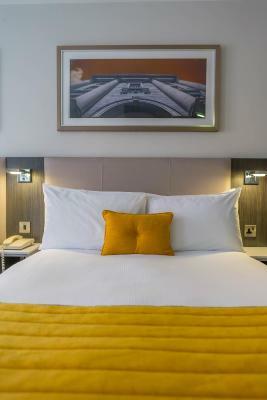 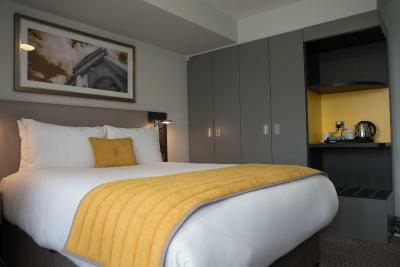 One of our top picks in Dublin.Just 10-15 minutes’ walk from Trinity College, Maldron Hotel Pearse Street features bright rooms with en suite bathrooms. 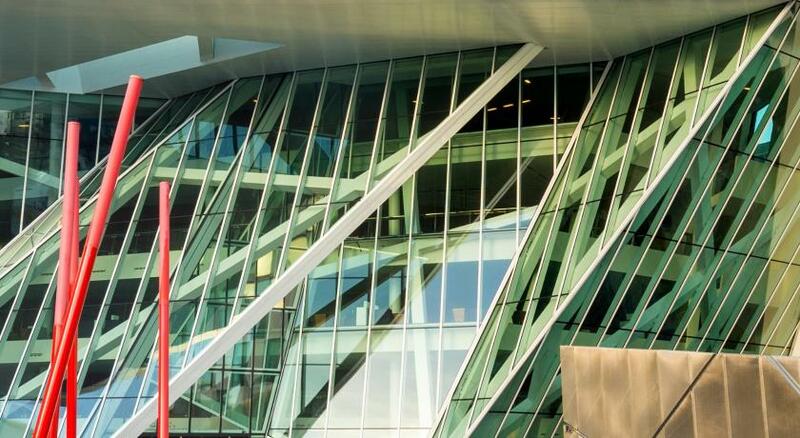 The Bord Gáis Energy Theatre is just a 5-minute walk away. 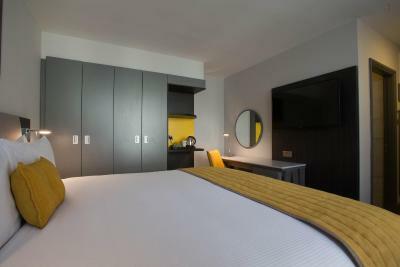 Rooms all feature free tea and coffee facilities and a TV for guests to relax with. 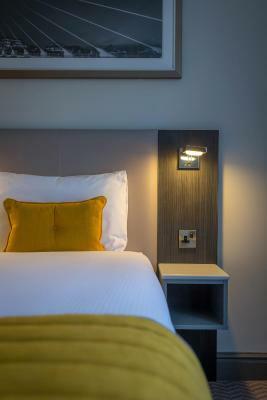 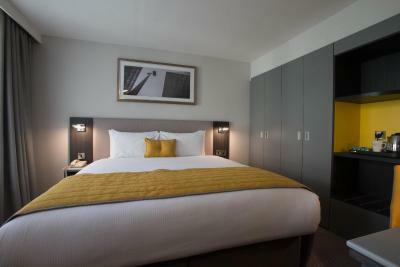 Rooms also include an en suite bathroom, a work desk with cosy chairs, and a hairdryer. 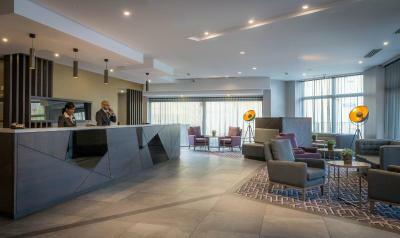 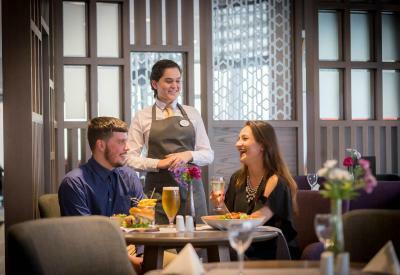 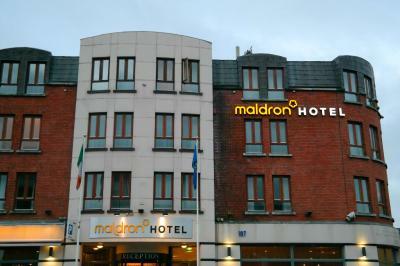 Maldron Hotel Pearse Street has been welcoming Booking.com guests since 14 Sept 2011. 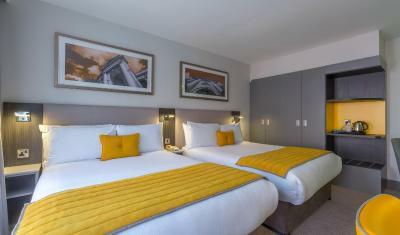 This room is set up with one single and one double bed. 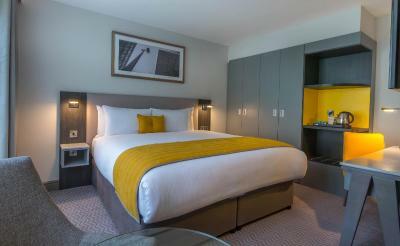 The room includes an en suite bathroom with hairdryer, work desk, a TV, and tea/coffee facilities. 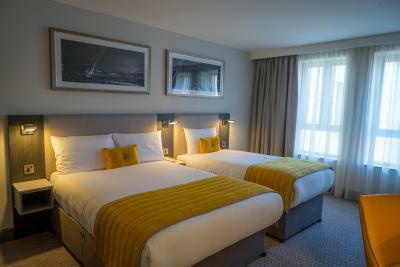 Triple room with selection of pillows. 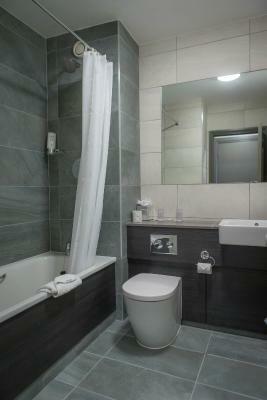 Includes an en suite bathroom with hairdryer, work desk, a TV and tea coffee facilities. 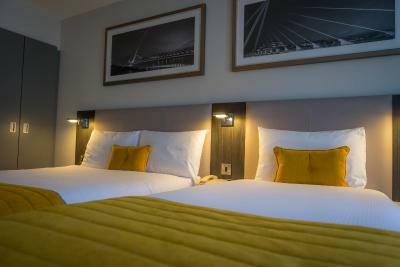 1 large double bed and 1 single bed is provided for 3 people sharing. 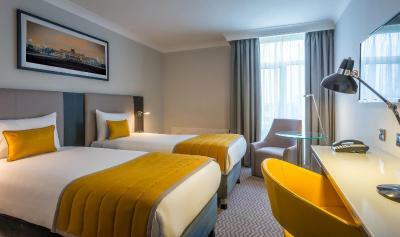 Quadruple Room featuring 2 double beds, a selection of pillows, en suite bathroom with hairdryer and a work desk. 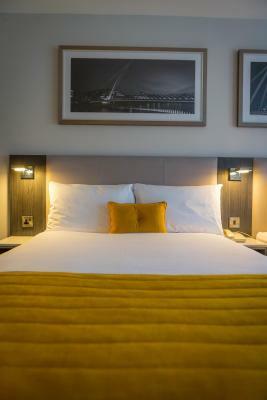 House rules Maldron Hotel Pearse Street takes special requests - add in the next step!